Getting ready for my September show at Gallery 110: The Artist's Studio. The Reception will be September 8, 5-8pm at 110 3rd Ave. S., Seattle, WA. See UPCOMING at www.gallery110.com for more information and photos. 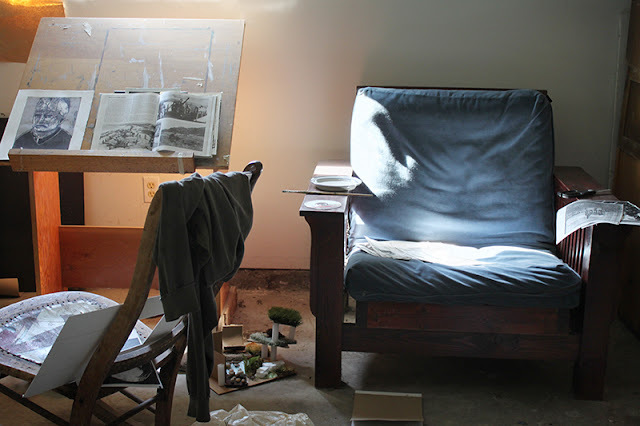 Chair, Stephanie's Studio, 2011, archival pigment print, 13 x 19 inches, framed 20 x 25 inches.